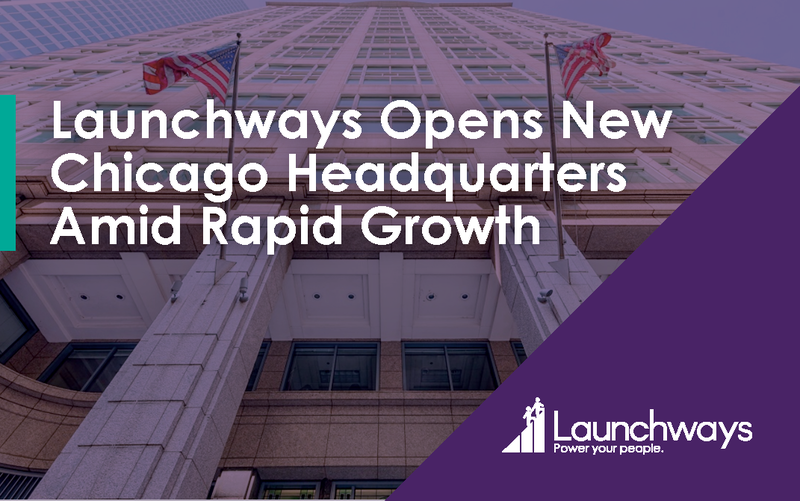 Launchways, a leading provider of human resources, employee benefits, and business insurance solutions, today announced that it will be opening its new headquarters at 303 W Madison Street Suite 2000, Chicago, IL on April 8, 2019. Throughout its growth, Launchways has had a proven track record of success. To-date Launchways has helped hundreds of fast-growing businesses solve their human resources and benefits challenges. Launchways prides itself on its personalized, hands-on approach to helping companies of every size continue to thrive as they scale. At its core, Launchways believes companies of all sizes should be able to offer cost-effective enterprise-level benefits programs that help them compete to attract and retain top talent. Human Resources: build scalable human resources processes to unlock the full potential of your workforce. Employee Benefits: provide innovative benefits packages that thrill employees and make every dollar count. Business Insurance: protect your company with comprehensive, cost-effective business insurance policies. The location of the new headquarters provides the ideal venue for Launchways’ continued success. “The West Loop is the heart of innovation in Chicago, a hub of tech companies, startups, and other industry-leading businesses. Our new headquarters puts us in the perfect position to continue to deliver high-impact solutions for HR, benefits, and insurance to the fastest-growing businesses in the city” said James Taylor, Launchways CEO. Please visit www.launchways.com to explore our website and learn more about Launchways’ solutions for HR, benefits, and business insurance. Launchways provides business leaders with the resources and guidance they need to build scalable people processes to support long-term growth. Founded in 2009, Launchways has helped hundreds of growing businesses better approach the people side of their business through strategic solutions for human resources, employee benefits, and business insurance. For more information, please visit www.launchways.com.